You can specify which shared folders will sync to your device using the Selective Sync feature. 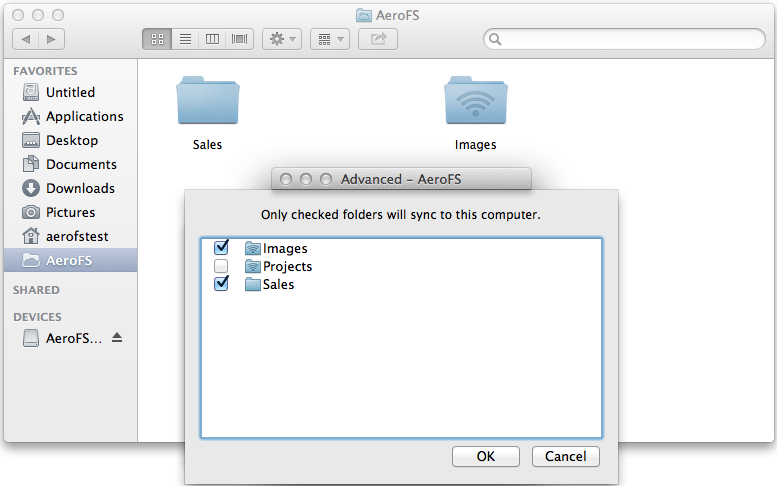 You can get to the Selective Sync dialog seen in the image below, by clicking on the AeroFS tray icon > Preferences > Advanced > Selective Sync. Simply uncheck the box next to the folder you wish to not sync to your device, and click OK. You will get a pop-up message with a warning that the folder you unchecked will get deleted from this device but it will remain intact on all other devices. 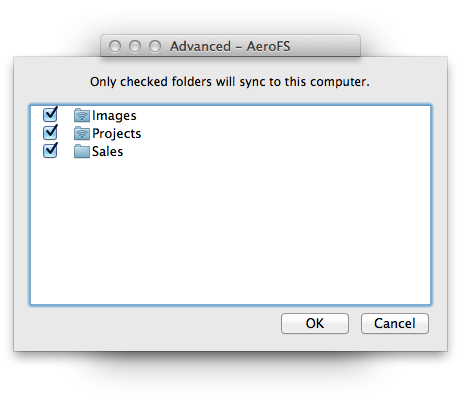 Click Yes and the folder will get removed from your AeroFS folder as shown in the image below. You can always choose to sync an unselected folder back to your device by checking the box next to desired folder and clicking OK. It is important to note that at least one other device (peer clients or team server) must have the folder you are trying to re-select, in order for the folder to successfully get synced back to your device.